The McKennaii magic mushroom grow as strange as it's workings are. The caps go big to small, thick and thin stems, light yellow to dark brown in color. As the trip can go deep, colorful, speedy and sexual. 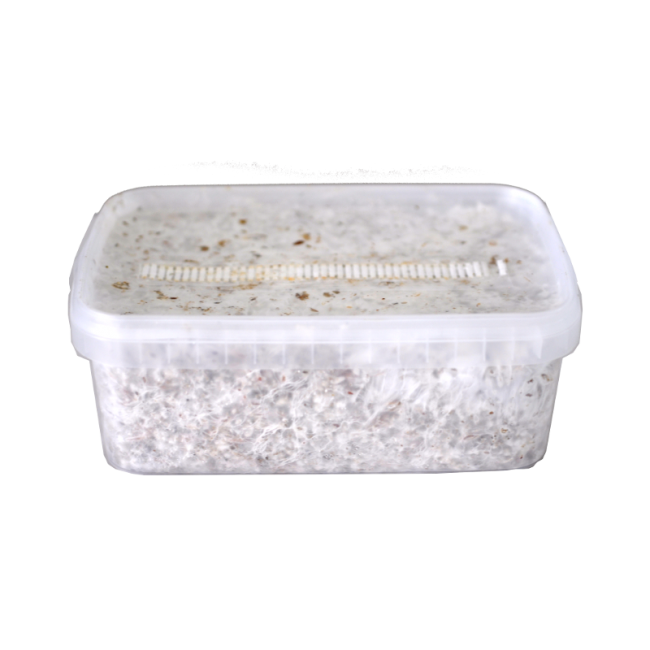 This 100% mycelium FreshMushroom grow kit grows fast and is completely maintenance-free. The XP stands for Extra Potency! Growing with the McKennaii XP FreshMushrooms Grow Kits is extremely easy. These kits are completely maintenance-free thanks to a fully colonized substrate without fillers. You hardly have to do anything to get your first flush with high levels of psilocin. Follow the instructions below and you will be assured a high harvest of mushrooms! 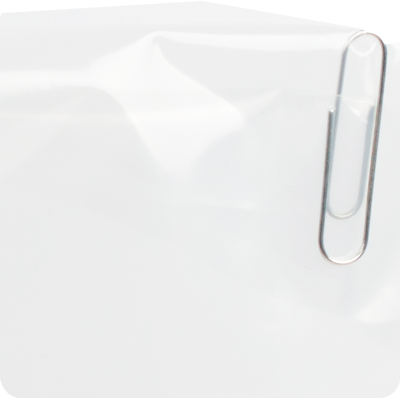 2.Place the mushroom grow kit without lid in the plastic grow bag (opening at the top). Starting after one day, use a plant sprayer with clean water to spray the inside of the bag every two days. DO NOT spray directly on the kit itself! 3. Close the bag with the paperclip after each spraying. 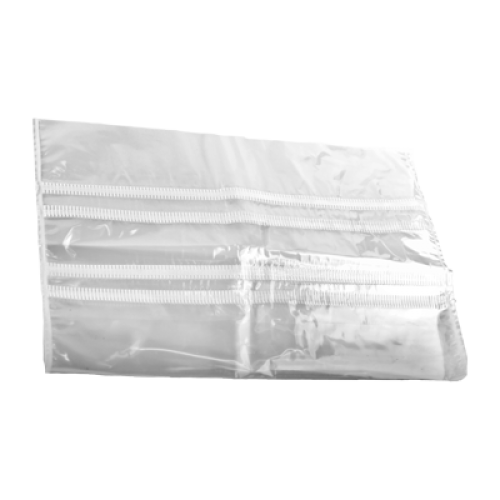 The bag has built-in filters so you do not have to worry about air circulation. 5. Stop spraying water as soon as the first mushroom pins become visible (Phase 1). From now on, keep the bag a bit open the entire time so the moisture can evaporate (Phase 2). Too much moisture is not good. Misting should be started with on the day that the first mushrooms (pins) appear. Open the grow bag by removing the paperclips. Do not spray directly on the cake, but spray one time against every side of the bag. So you mist once a day, four sprays but only when the mushrooms are visible. Right after misting, close the bag again with the paperclips. I didn't get much of a flush from this kit though it was my very first and I'll do a lot differently next time. What really impressed me was the amazing service received from Magic Mushrooms Shop. 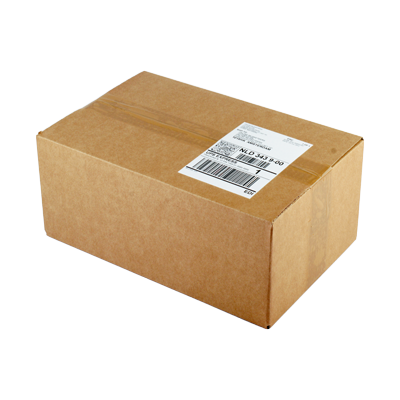 Fast at replying to my query and fast shipping. Perfect customer service. alltou, the first time i grew mcknnaii couple years back, it was only sucsess!! the grow was easy, and suprisingly many flushes. delivery and everything was great. i dont know, probably i did some things wrong.. The yield was not as big as I would wish for, but the kit itself is really quite resistant to infection and therefore fool-proof. You can really notice the blue psilocybin all over the shrooms. Plus I noticed that the dry ratio was higher than other kits. Really Small Harvest-first flush ok, second 2 fruits, 3... none. Old kits were better! This is my fourth growkit, and the most disappointing in terms of harvest. The first flush was smallish/normal, the second only three fruits and then the third didn't come at all. The old style of kit I got 4/5/6 flushes easy, smaller each time but still, even the third flush was bigger than the first with this new style. 20ish g dry... it's really not great-the old kits were far better. The shrooms themselves are ok-pretty much the same as the Amazons and B+ in terms of trip, maybe less potent as taking a 5g amount it was still quite mild experience, no ego death. Again, with such a small harvest maybe the potency was also not as good as it should be. Great kit first shrooms ready to pick within 3 weeks. Only issue Was a gap between tub and substrate which caused shrooms to grow out the side and underneath of tub. Overall harvest roughly 40g dried after 2 harvests. These mushrooms are among the best I've ever tried. 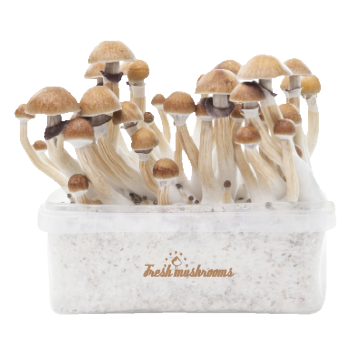 The cake is also better as you can't ruin it when harvest your shrooms, you can then easily go on with a couple of more flushes. They release black spores when ready to harvest and the blue lines over their body seems to say: we will provide you a deeply intense experience.